Add a touch of sleek sophistication to your home interior with the Halpha Rug by Serge Lesage. With a unique design of contrasting textures, this stylish rug is crafted with both matte and shiny effects. Featuring a diagonal stripe of varying proportions, the coal black edging enhances and lifts the pattern appearing as if sketched in pencil. 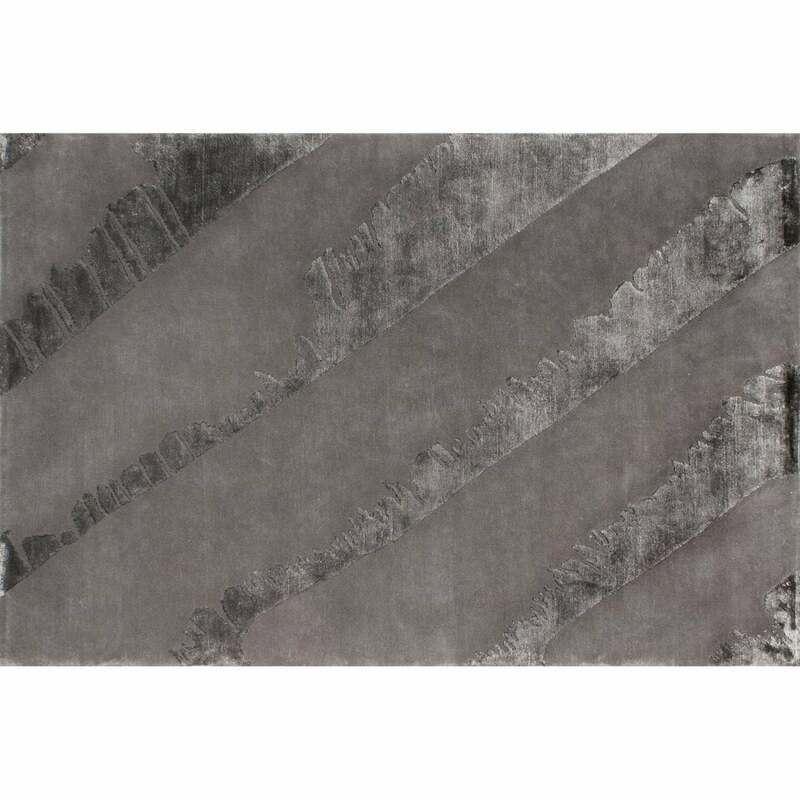 A signature piece from the Serge Lesage collection, this contemporary rug will suit a wide variety of interior styles. Hand-knotted by skilled artisans, Halpha is created using soft New Zealand Wool and luxurious Viscose. Available in both standard and bespoke sizes. Make an enquiry for more information.